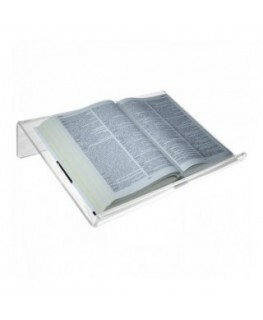 This clear and white acrylic bookstand is a fantastic way of displaying books and brochures. It is an elegant bookstand with inclined shelf. The assembly kit and instructions are provided.